SHINOBI, KENZAN! Earlier at the beginning of the year, we reported that Toei will be releasing a series of Kamen Rider Zi-O spinoffs, and one of them would feature the Ninja-themed Rider of 2022: Kamen RIder Shinobi. Since the initial announcement, a slew of new photographs along with a trailer for the special were both released . The images reveal a secondary Kamen Rider from the timeline addition to some supporting characters and villains. 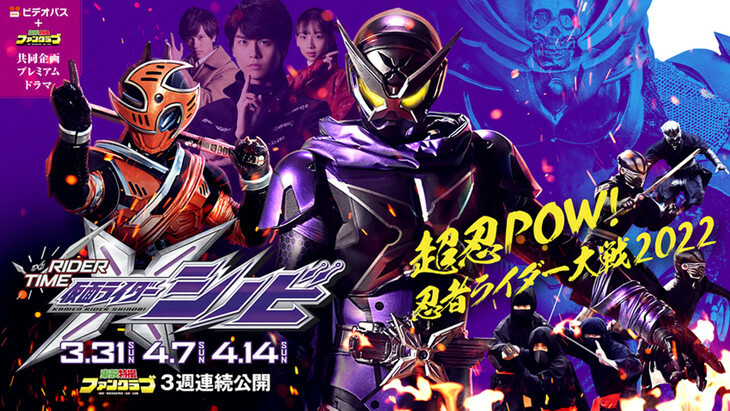 Although not much has been translated as of this writing, we do know that the orange fellow is called Kamen Rider Hattari and he’ll serve as » Continue Reading.